ahh theres the beauty! really great job to Matt and John especially for getting this put together. Many man hours..
this looks somehow how i thoguht csgo would look like.. NOTE: The video quality has been slightly reduced in order to meet the file size requirements of IndieDB. Critical Point: Incursion is a standalone PC game created by Dominating Studios with Epic Games' Unreal Development Kit. Incursion is a semi-realistic, arcade-like first-person shooter combining tactical gameplay with arcade-style speed. Utilising a wide variety of modern weaponry and set in fantastically rendered locations, the Mercenaries and Special Forces meet at a critical point! 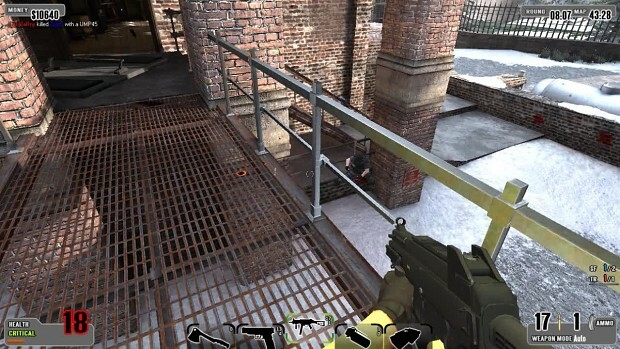 In a rush-based mode as seen in first-person shooters such as CoD4, Battlefield 3, Counter Strike and TO:AoT, teams are given level-specific objectives in round-based scenarios! CP:I is aimed at a large player base, offering a huge platform for competitive clan and league play, allowing individuals to shine and capture their glory regardless of how many hours they have played. It accentuates skill vs luck, aiming vs spraying, and so on. We differ from the competition by having no unlockables, no RPG's, no claymores, no tanks, jets or other vehicles. No spotting of enemies, no gimmicks affecting reloading, no influence on aiming, and no movement hit penalties when shot! Just PURE infantry combat action! If you love action-packed first person shooters with great community involvement, then Critical Point: Incursion is for you!